Another Ethiopian medal, this one a bronze trilobe medal with wreath and ribbon ring suspension; the face with a traditional Ethiopian portrait of Emperor Haile Selassie I wearing the Ethiopian Crown and circumscribed with the Amharic inscription in Ge’ez ‘Haile Selassie the First’; the reverse with crossed batons supporting a Trinity star circumscribed with an Amharic inscription in Ge’ez, on original ribbon mounted for wear with a clip with maker’s mark ‘MAPPIN & WEBB LD’ with one bronze palm bars denoting a second award of the medal. 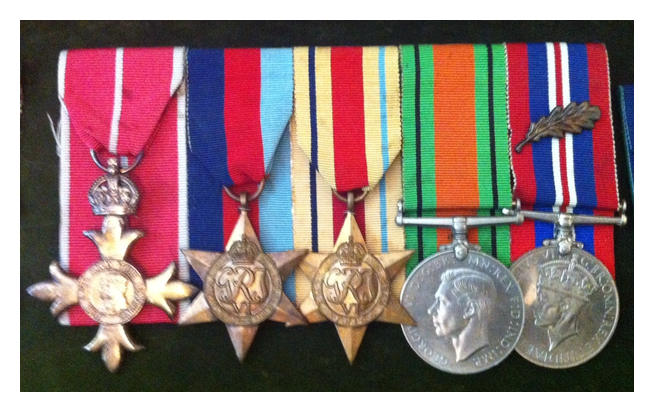 The medal was created to reward those engaged in military action against the invading and occupying Italian forces in the years 1935 to 1941 and was awarded both for acts of bravery in the face of the enemy and for long and distinguished service. 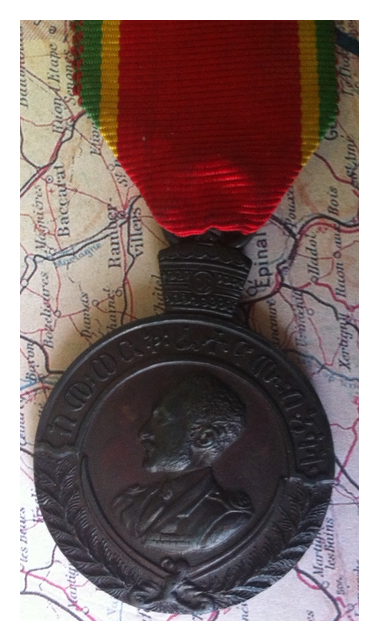 This medal is part of my small accumulation of WW2 Ethiopian medals. The Military Medal of Merit of the Order of St. George is a bronze trilobe medal with Trinity star and ribbon ring suspension; the face with an image of St. George on horseback slaying the dragon below the Amharic inscription ‘Hayal Kokebe Kibr’ (luminious star of victory); the reverse with a Trinity star with three crossed spears imposed above the date ‘1923’; three small edge knocks to the reverse, lower left, lower right and right; on original ribbon. 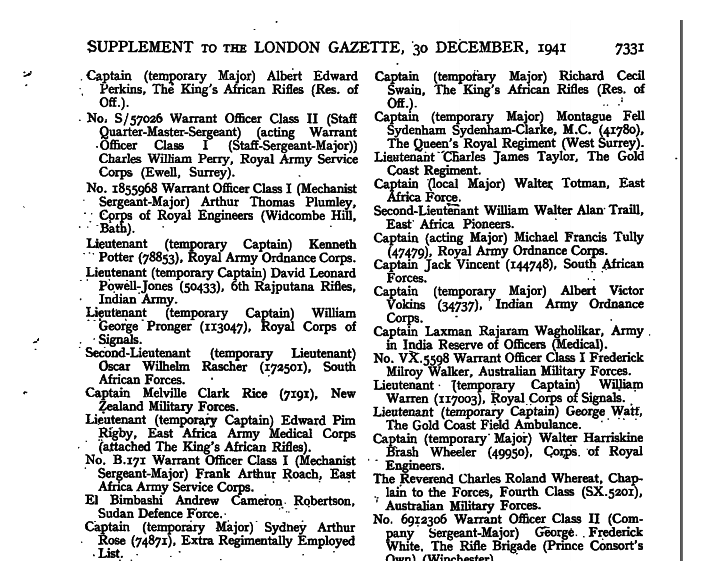 The medal was instituted in 1923 and was the highest military decoration of Imperial Ethiopia, awarded rarely for acts of great bravery and outstanding military leadership in times of conflict. 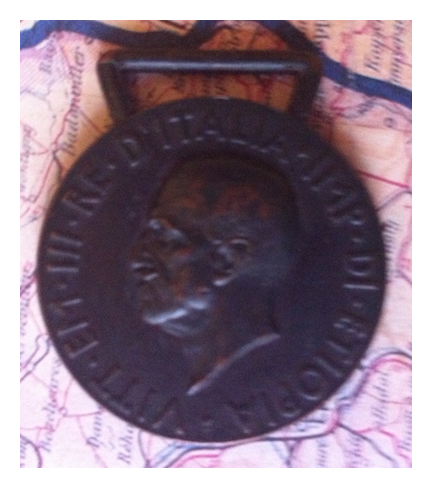 This medal, missing its ribbon, commemorates the Italian invasion and defeat of Ethiopia in 1936. 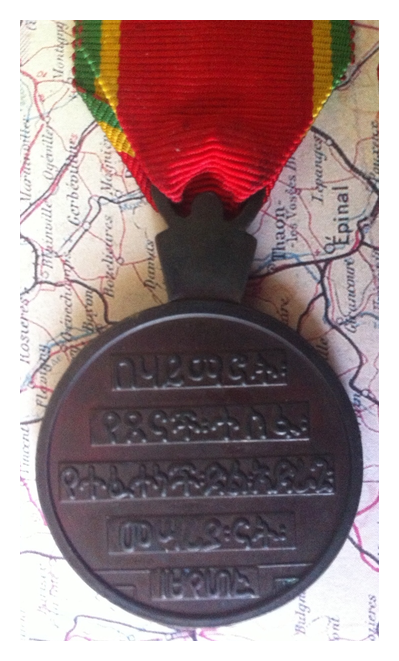 This medal was instituted in 1941 and awarded to all Ethiopian soldiers and irregulars who fought against the Italian occupation between 1935 and 1941. 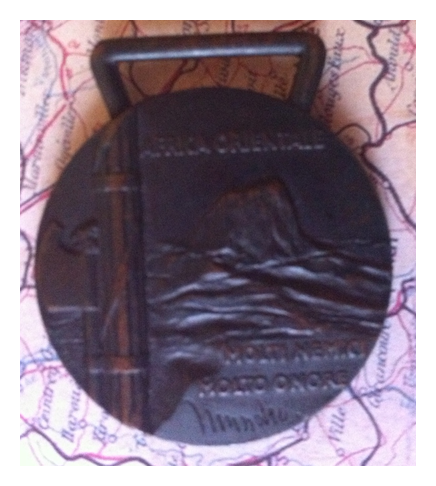 This medal can be found with palm devices on the ribbon to mark each year the fighter was engaged.